Making this pen was a daunting task, requiring much thought into how exactly to inlay the sterling silver. Inlay’s can sometimes be much more difficult than overlay’s. 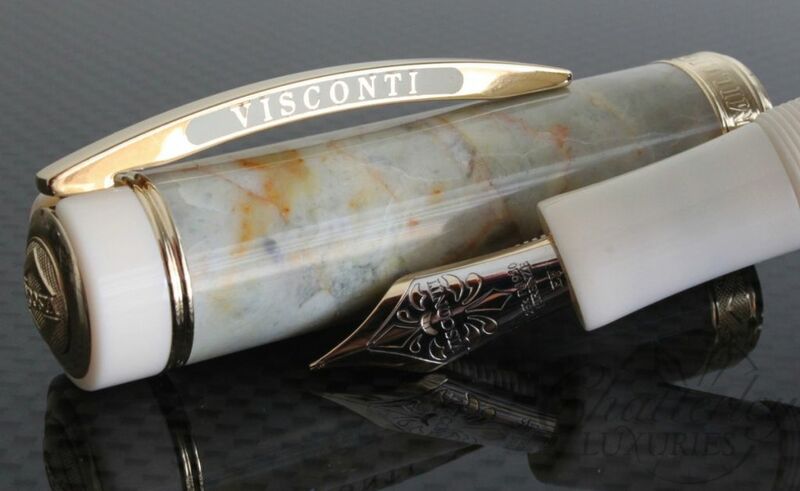 In addition to how to do it, Visconti had to take into consideration the fact that the pen spirals around in a very symmetrical proportion, and is made of a solid piece of material, lucite. 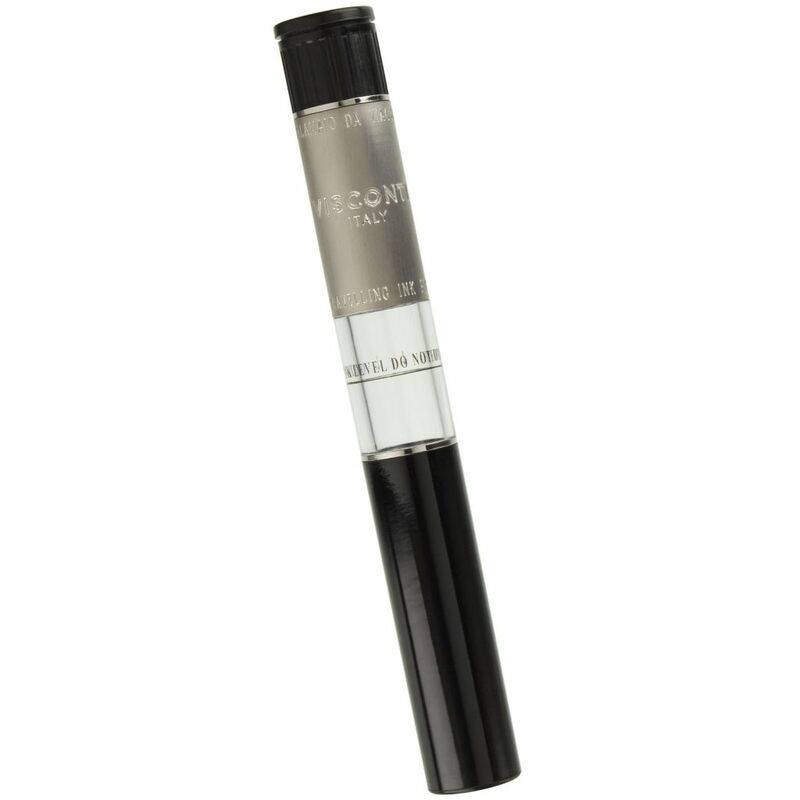 There is a Midi version, which is this one, and a Maxi version of this pen. Here is a video on how they made the Maxi, whilst the making of the Midi would be very much the same. 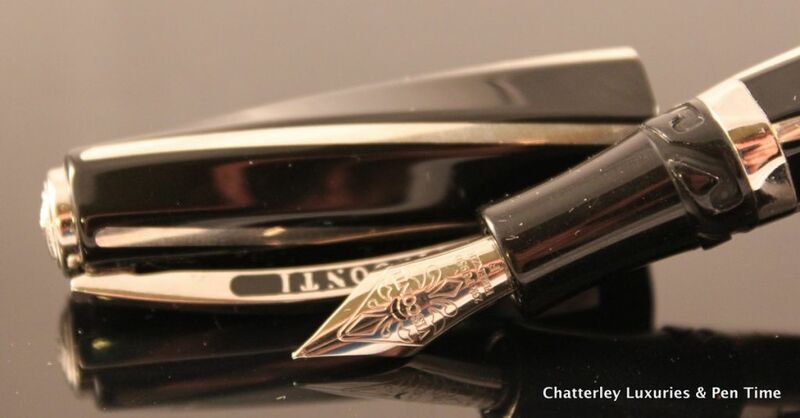 The manufacturers suggested retail price for the Visconti Black Divina Midi Fountain Pen with 23kt Palladium nib is $995.